Murat Daoudov is Belgian national currently residing in Istanbul. He is the founder and president of MDN Corporation, and lecturer at Francophone Department of Public Administration, Faculty of Political Science, at Marmara University in Istanbul. His experience highlights include involvement with a range of organizations, such as the Observatory for Migrations in Center for Equal Opportunities under Belgian Prime Ministry, City of Brussels, Istanbul Metropolitan Municipality, Union of Municipalities of Marmara, Network of Associations of Local Authorities of South East Europe, Union of Turkish World Municipalities, International Arabic Competitions Committee, North-South Think Tank of Council of Europe, USAID, Marmara University and others. Fluent in English, French, Turkish, Russian, Arabic, and Dutch, with basic knowledge of German and Spanish, he is currently studying Kurdish, Persian, and Chinese; his native language is Chechen. Author of book "Foundations of Local Foreign Policy" (in Turkish, soon in English), he has published various articles in magazines and newspapers including Libération, Le Soir, La Libre Belgique, The Arab News, The Khaleej Times, Today’s Zaman, The Daily Star, The Regional Review, City Issues, La Revue Politique, Birlik Dergisi and others. 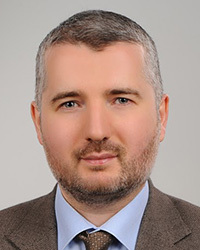 Murat Daoudov has strong ties to an extensive network of professional individuals and organizations that covers Europe, Balkans, Turkey, Middle East, CIS, US, and China.